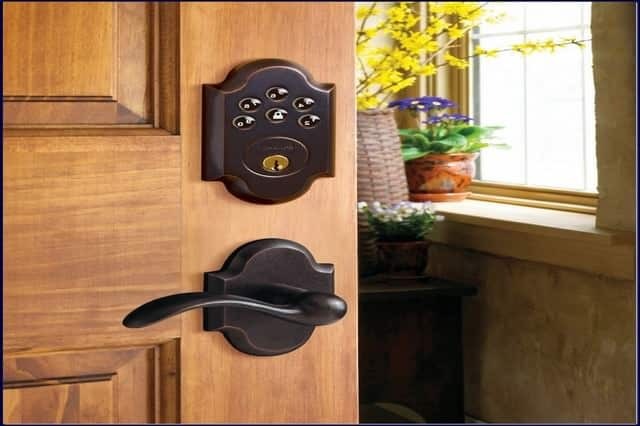 Security is your topmost priority that when you are looking for door locks for your home or office, you are looking for the brand that is burglar-proof. The price tag, style, and finish follow. But what if you lost your key – or it gets broken? You will need to replace it. What if you are locked out? Really, there are a lot of issues that concern keys – so why not turn to keyless entry San Diego? From the term itself, it means entering your home or your shop – and even your car – without the use of a traditional key. 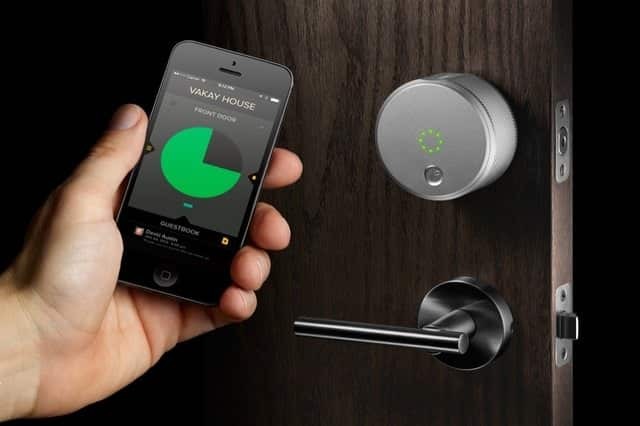 You use keyless entry remote that lets you gain entry by just pressing codes. You will then end your problems about keys and more important, you will make it difficult for thieves to enter your premises or your vehicle. Being keyless also means being comfortable because you only need to press the button or key-in the codes and in an instant, your door is unlocked. But not all locksmith companies are credible enough to perform installation of this security system. San Diego Locksmith has been in business for so many years. We are a team that offers premium locksmith services, which include the installation, repair, and replacement of this type of electronic or digital entry system. We work to provide comfort to users like you because you do not have to open the lock physically. Most important, we perform our job to ensure higher security system for your home, business or car. Call us at (866) 306-8557 and be one of our satisfied clients. Keyless Access System Installation – If you want to avoid having to manually open door locks (home, office, and car), go keyless! Call us immediately for keyless entry and tell us what you want. We will address all your concerns and answer all your inquiries. We will make recommendations on the brands and models that you can use. You can be sure that these are durable because we have been relying on these units for such a long time already and our clients report no issues about them. These are all available in our shop. Hire us now to install your keyless access. Keyless Access Repair – When your electronic or digital access to your car, office or home is not working, do not wait for another day. Speak with us now so we can immediately fix it. We can go to your place or we can check your car so we will find out the problem that’s keeping it from functioning properly. We will tell you about our findings and the solution that we find appropriate to it. We will give you service estimate, which you need to approve before we perform the job. We want to be transparent about everything – even the pricing – that we follow this process. Keyless Access Replacement – If you are aware that your no-key access system is already broken or badly needs upgrade, do not hesitate to talk to us and we will replace it. We will show you the brands and models that can offer you the highest level of security in our home, vehicle or commercial establishment and you can make a choice from there. Technology amazes us every day as it shows us new things that make our lives easier and more comfortable. Almost all things benefit from its advancement – including our homes, businesses, and vehicles. Now, we are able to protect them against burglars and thieves without the need to use keys to open doors as we are offered the chance to go keyless. Using keyless entry remote San Diego with numeric codes or button, we are already given access to our homes, offices, and cars. But aside from this comfort and ease of use, what else can be the reasons that will make your choice for this entry system the best? Your security and privacy – what else? These are two things that you should prioritize. By going keyless, you will use a system that has eradicated the need for you to rely on mechanical key, which when lost causes you panic. Thieves will find it difficult to get in. It also makes a sound to tell you that it’s already locked. More important, it comprises a wide range of security features to ensure that no one can gain entry without your permission. You can relax, watch TV, and sleep inside your home without worrying about intruders. You can leave your car in the parking lot without thinking about it being taken by car thieves. You can go home without being anxious about the valuables that you leave in your office each time. In case of emergency, you can automatically lock the door without necessarily going near it or even physically touching it. Why Hire Us for Keyless Entry System San Diego CA? If you are concerned about the security and privacy of your home, office, and vehicle, you will not think twice about hiring 7 Day Locksmith to install, replace, and repair electronic entry system. We have been operating for many years that we are already one of the leaders in the industry. We are able to maintain our good reputation because we have been consistent in providing high quality locksmith services in the city. Our satisfied clients are our proofs that we are highly reliable when it comes to meeting their locksmith needs. We are a team of experts that are well-knowledgeable about our jobs. Our many years of experience have provided us with sufficient information about giving locksmith services and even home security products. But we do not stop from there as we continuously attend seminars and trainings to make sure that we are updated with technology and with the industry. We are workers who are worthy of your trust. We make sure that our service van is well-equipped with tools, products, and accessories that will help us perform our job faster and without interruption. You may contact us at (866) 306-8557 to inquire about getting access to your car, home, and office without using keys. We can help you experience comfort and feel secure at the same time. You may think that this type of service is expensive, but we can assure you that our rates our reasonable and that the money you will spend is worthy of your investment.